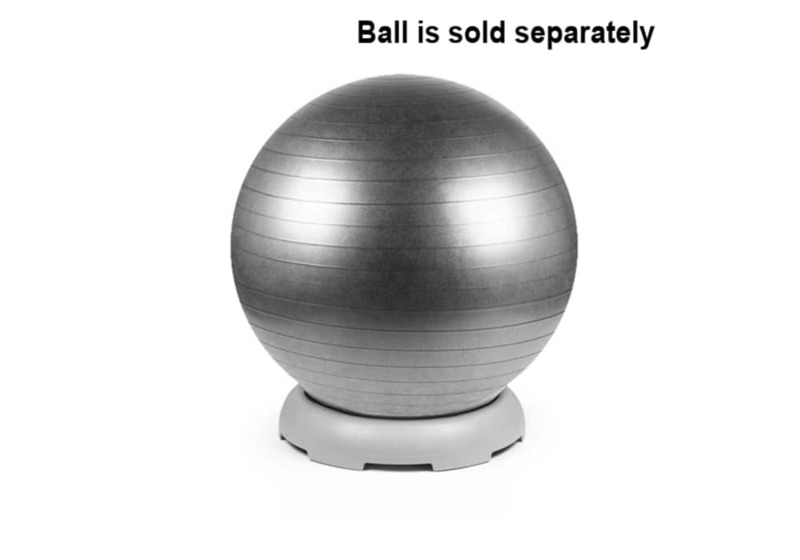 Keep your exercise ball stable for various exercise and physical therapy routines. 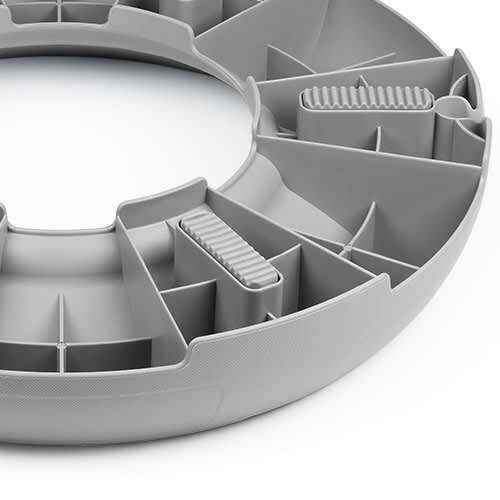 Sturdy, one-piece design with no assembly required. 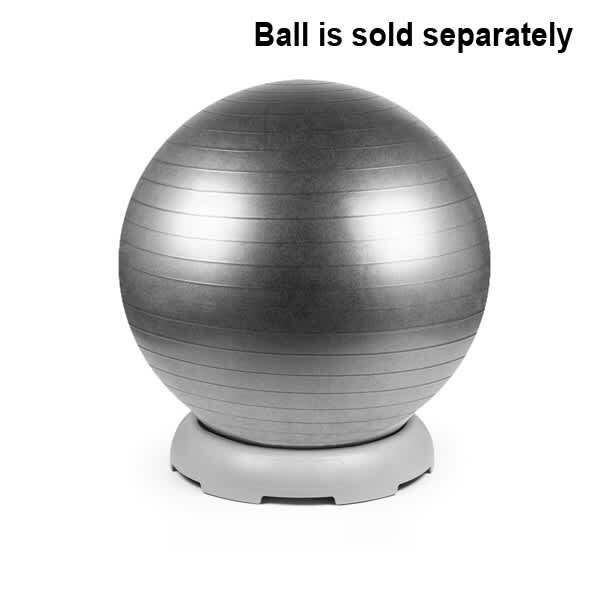 Put an exercise ball (sold separately) on the base to use as a chair or seat. 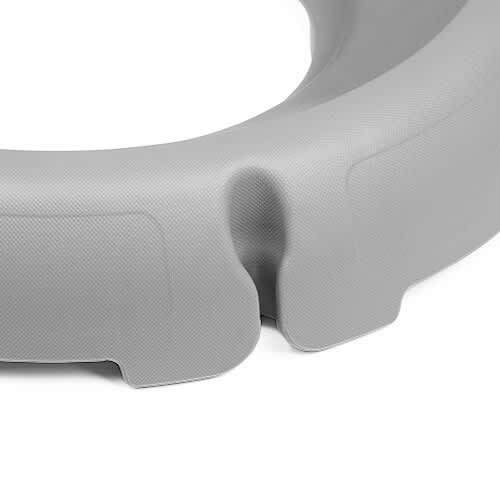 Slots on the base allow for bands and tubing (sold separately) to be added to the base for additional exercises. Works well with 65cm and 75cm diameter exercise balls. 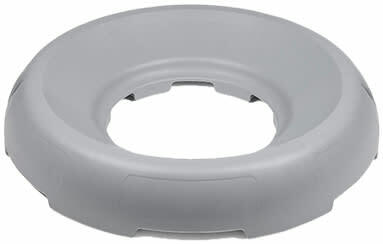 The exercise ball base is a great accessory to your yoga/balance/stability ball. 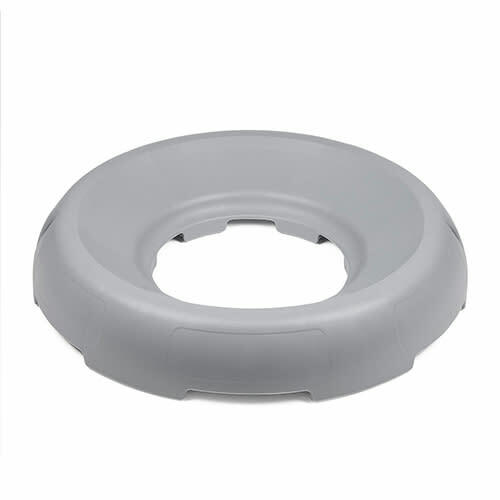 It is designed to hold the yoga ball in place while you perform an exercise routine or therapy. 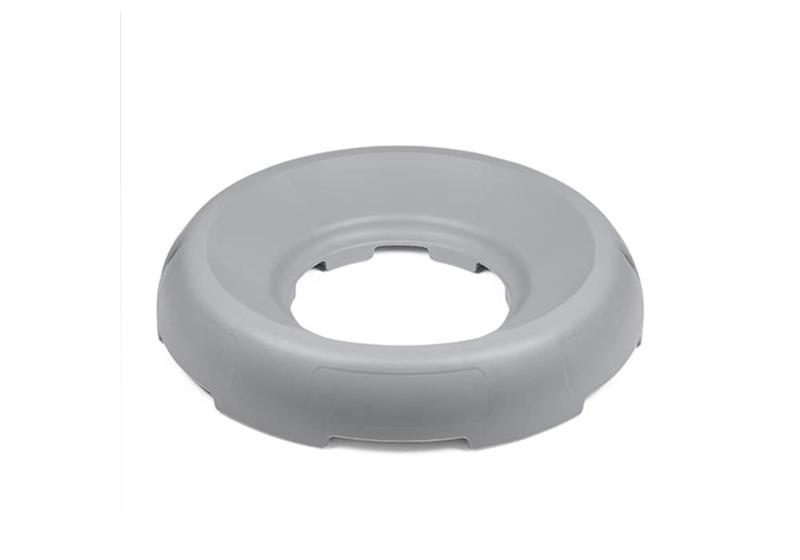 You can also use this base as a platform for the yoga ball while you take a seat and fix up that posture! 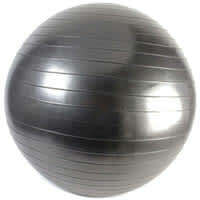 Or simply use it for storage purposes to ensure your exercise/yoga ball stays in place once you are done with it. 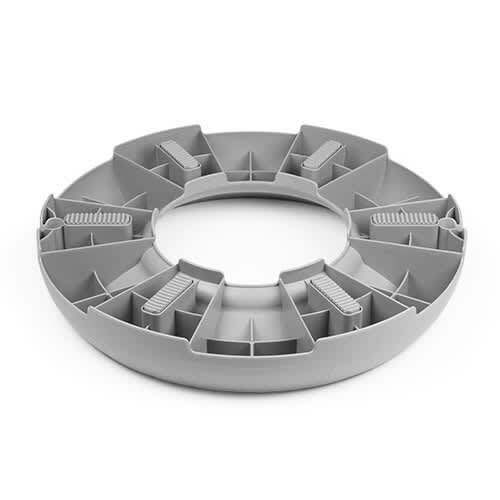 The exercise ball base/stacker is a sturdy one-piece design that requires no assembly. A standard yoga ball will fit the ring. Please note the ball is sold separately. Keep your exercise ball stable for various exercises, physical therapy, and sports rehab routines.